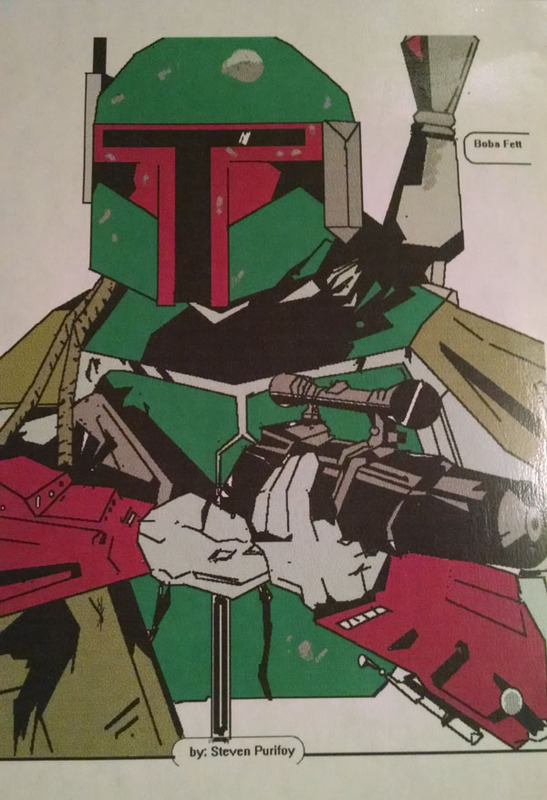 The Boba Fett artwork in scene four was actually created (circa 1998-2000) in Microsoft Paint by a very talented young artist, Steven Purifoy. He was a high school student in my youth group and of course knew of my Star Wars fandom and that Boba Fett was my favorite character. Over a three year time period he made several pencil, ink, and digital images for me. Great big thanks to him for all the artwork (which I’ve saved) and the permission to use this particular one in the strip.